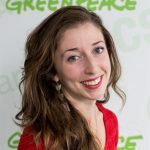 No matter where you buy your groceries, advocating that your supermarket go plastic-free can help provide the incentive they need to move in the right direction. Let’s get started! Hi there, ocean protector! Thank you for helping turn the tide on single-use plastic pollution. Supermarkets are one of the spaces where regular people like you and me are confronted with the most #PointlessPlastic. This makes your supermarket an important site of resistance! You can demand that supermarkets do their part to address the plastic pollution crisis every time you buy groceries. We already know that supermarkets have the power to radically reduce their use of plastic packaging. Earlier this year, UK-based grocery chain Iceland became the first major retailer to commit to eliminating plastic packaging for store-brand products! Do you want corporations to ditch single-use plastic? Tell them. Are you tired of corporations and retailers using throwaway plastic? Tell them. Take a photo of excessive single-use plastic packaging and share it using #BreakFreeFromPlastic — don't forget to tag the companies! Take a picture of excessive plastic packaging wherever you buy your groceries. Tag the grocery store responsible (ex: @TraderJoes, @WholeFoods, @Costco) and ask them to do better. Want some juicy statistics and facts about plastic pollution to include in your post? Check out this Key Facts and Information page, and this FAQ for a quick Plastics 101! 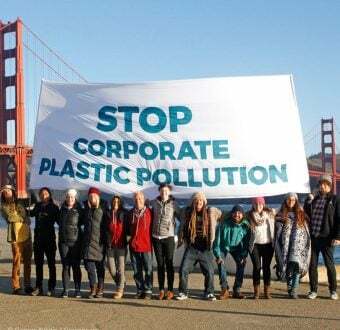 Once you post your picture, you will be part of the wave of activists around the world who are creating a Million Acts of Blue — actions to push retailers, corporations and businesses to reduce single-use plastic. It will take commitments, both large and small, to tackle the scale of the current plastic pollution crisis, and we all have a role to play. Every action taken to reduce single-use plastics sends a message to the industry that it’s time to change. We can no longer allow products that are used for a few seconds to pollute our planet for a lifetime. 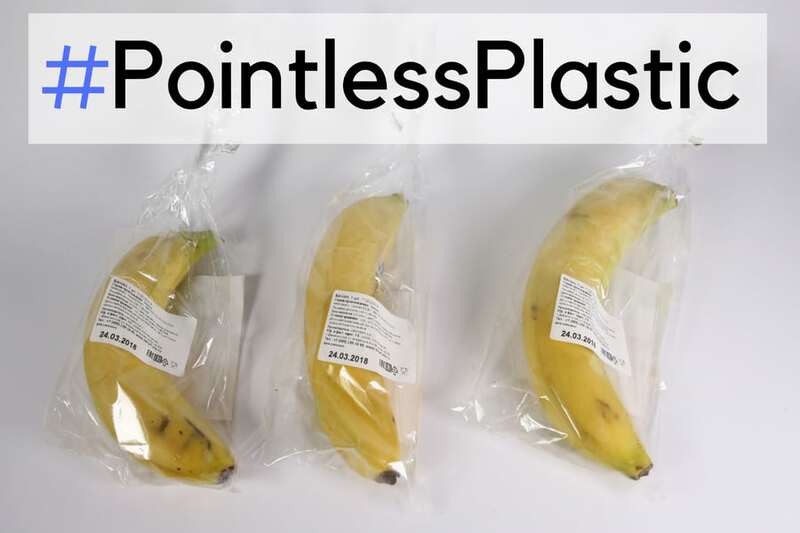 Post your #PointlessPlastic picture on social media, and tag some friends online to challenge them to follow your lead! Share this signup form with them, and email us to tell us how it went at plasticfree.us@greenpeace.org! Now that you’ve joined the Million Acts of Blue movement, you are ready to take it to the next level. Talk to your grocery store manager about ways they can reduce plastic packaging! Whether you prefer sending an email, calling by phone, or setting up an in-person meeting, our toolkit gives you everything you need to talk to your supermarket manager and challenge them to go plastic-free. No matter where you are in your journey to create a plastic-free world, feel free to connect with us directly by emailing plasticfree.us@greenpeace.org. We are here to support you! Good luck, ocean protector! Go get ‘em! *New to Social Media? Not a problem! 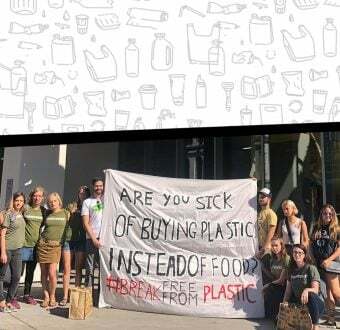 If you really don’t want to use social media for this tactic, you can still take action by emailing us your photo to plasticfree.us@greenpeace.org and we can share it for you! Remember, you can also take it to the next level and talk to your supermarket manager. Set up a meeting or call them on the telephone. Whatever works best for you! Activism comes in many shapes and sizes, and everyone can make a difference!